The 4th of July is the perfect weekend to fly your 51-star flag. Show your solidarity with the fine folks of Puerto Rico.... or Washington D.C... or the state of Superior... or the 51st state of your choice. We've had 50 stars for 50 July 4ths... time to expand the flag. 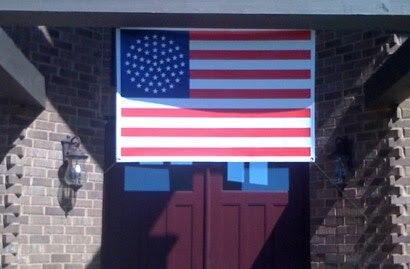 Above is a picture of my 51-star flag in front of my house. If you don't have one yet, you can get a flag here.